Add a splash of color, comfort and style to your bathroom! Plush rug set in a fresh wave design insulates bare feet from cold, hard floors while adding cushioning and non-slip safety. 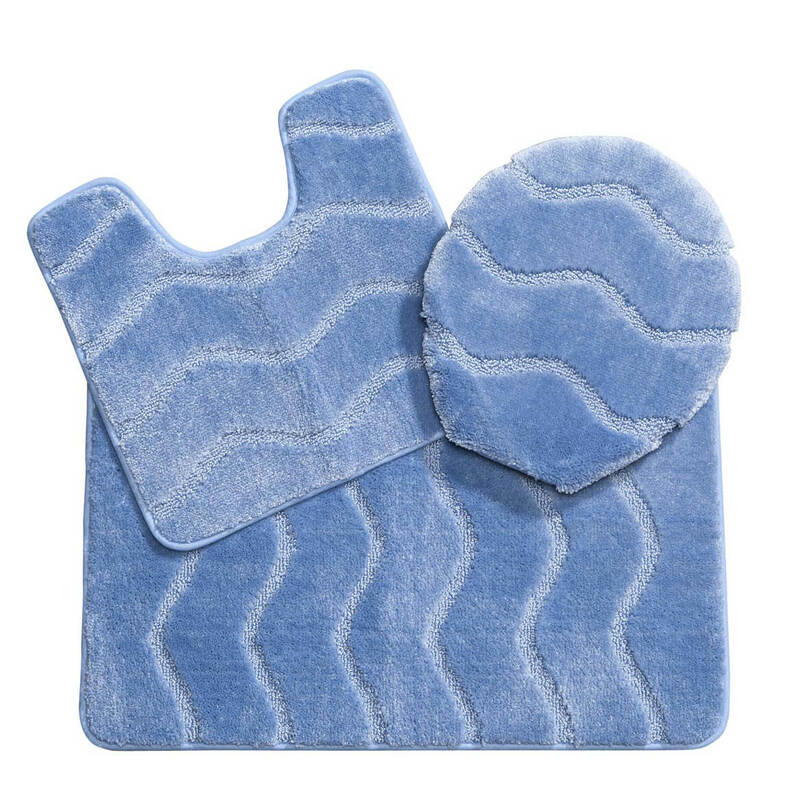 Three-piece set includes a bath mat (28 1/2” long x 18” wide), contour rug (17 1/2” long x 18” wide) and toilet seat cover (fits most standard toilet seat lids). Specify style: rose or blue. 100% polypropylene, including non-skid backing. Machine wash cold separately, gentle cycle, no bleach; line dry away from sunlight. Shake regularly to fluff pile. Do not dry clean. 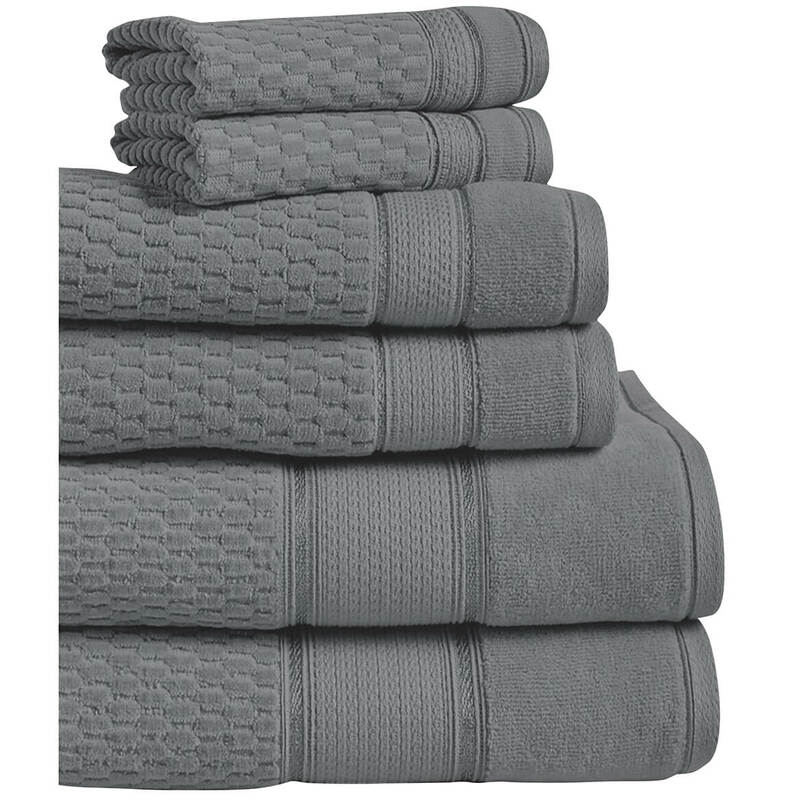 Boasting velvety soft colors, this 5 piece bath set adds warmth and style. Five-piece set includes 20″ long x 30″ wide bath rug, 20″ long x 20″ wide contoured rug (with square toilet opening), standard tank cover, tank lid cover and toilet lid cover. Olefin with latex back; machine wash. Imported.u003cbru003eNote: due to manufacturing changes, some colors may vary slightly from swatches shown. Plush bathroom carpets add comfort, color and style, boasting velvety softness in fashion colors, available in two luxurious sizes. Olefin, latex; spot clean. Made in USA.u003cbru003eNote: due to manufacturing changes, some colors may vary slightly from swatches shown. Add plush cotton elegance to your bathroom floors! 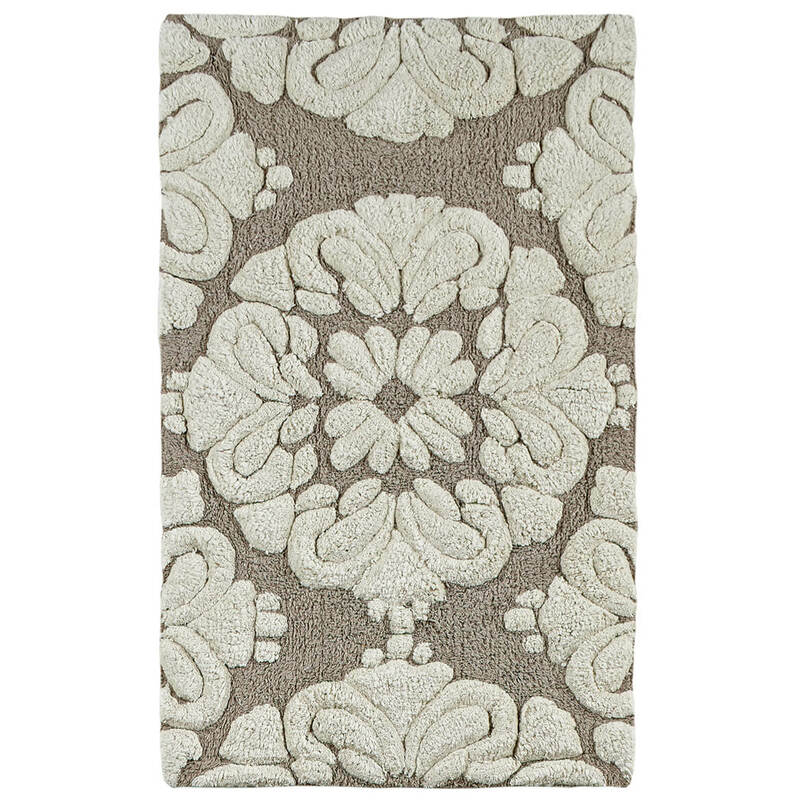 Heavyweight 100% cotton rugs feature a chenille-style tufted medallion design that’s soft and thick under bare feet. Set of 2 includes 17″ x 24″ and 21″ x 34″. Choose from beige, blue, gray or sage to complement any bathroom décor. Machine washable for easy-care convenience. Floral contour bath rug by OakRidge™ adds bold, fun style to your bathroom. 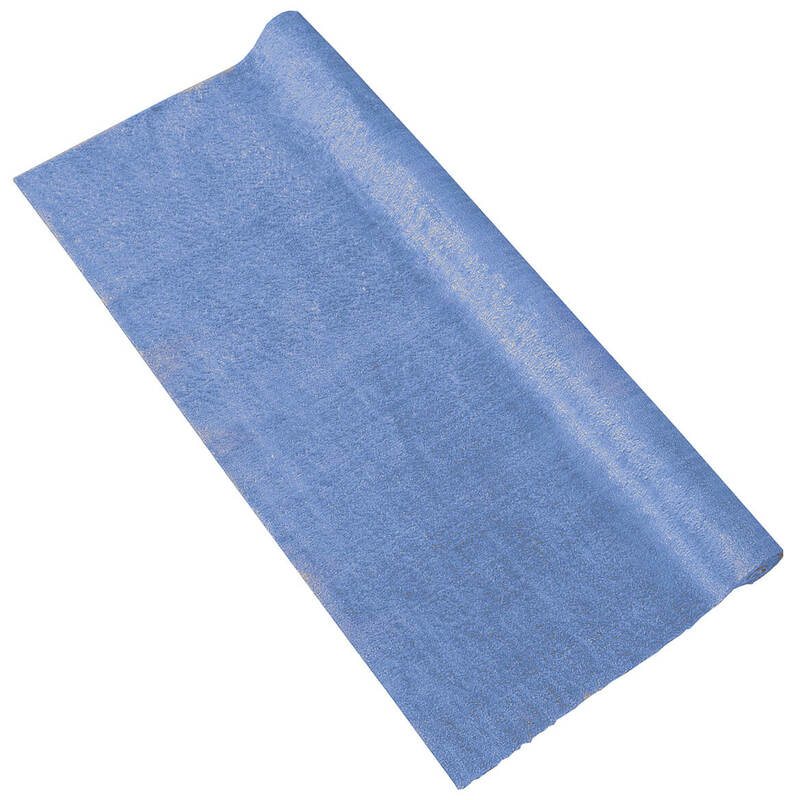 Thick cotton bathroom rug pampers bare feet and insulates against cold, hard floors. The contrast flower and border livens any bathroom décor from classic to contemporary. Choose from blue, sage or lilac. Toilet mat measures 20″ x 22″ overall with 7 1/2″ x 7″ cutout to fit toilet base. 100% cotton with non-slip latex backing. Machine wash separately cold, gentle cycle; tumble dry low separately; do not bleach. Imported. 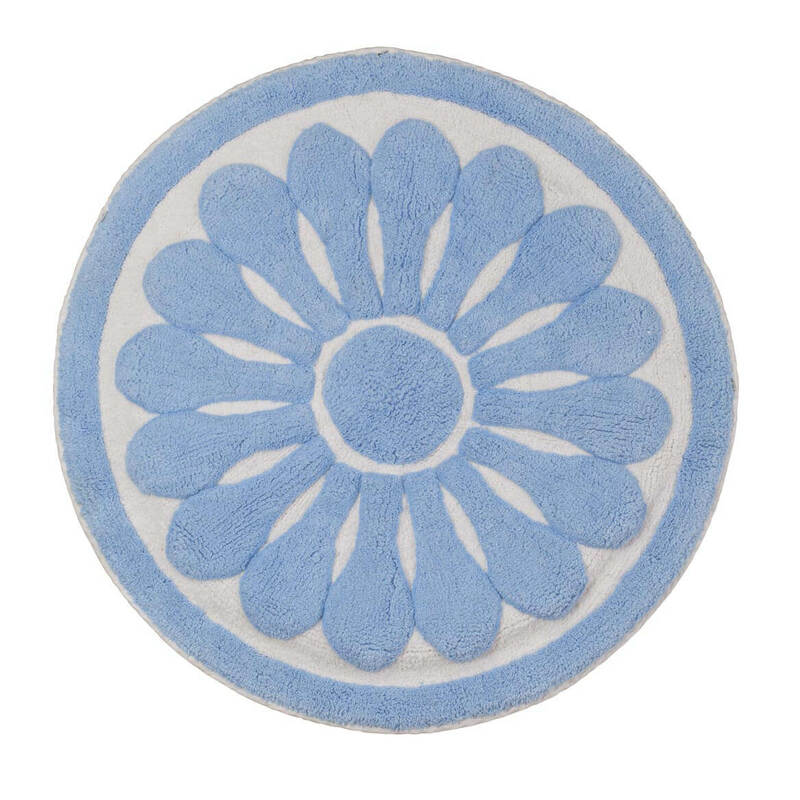 Coordinates perfectly with our Round Floral Bath Rug by OakRidge™ (sold separately). 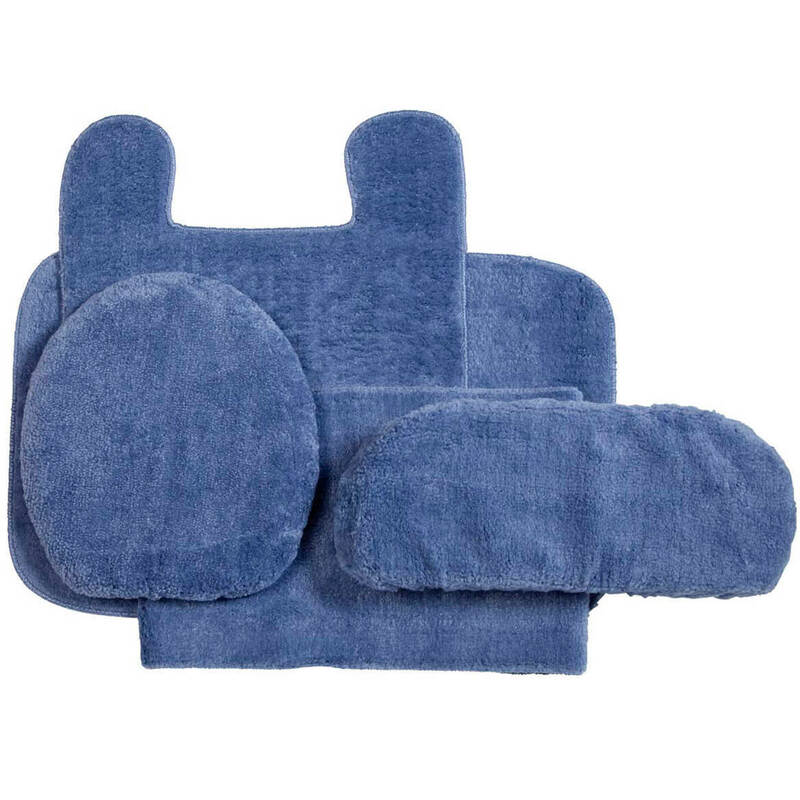 Boasting velvety softness in fashion colors, this plush bath rug set adds comfort and style! Three-pc. 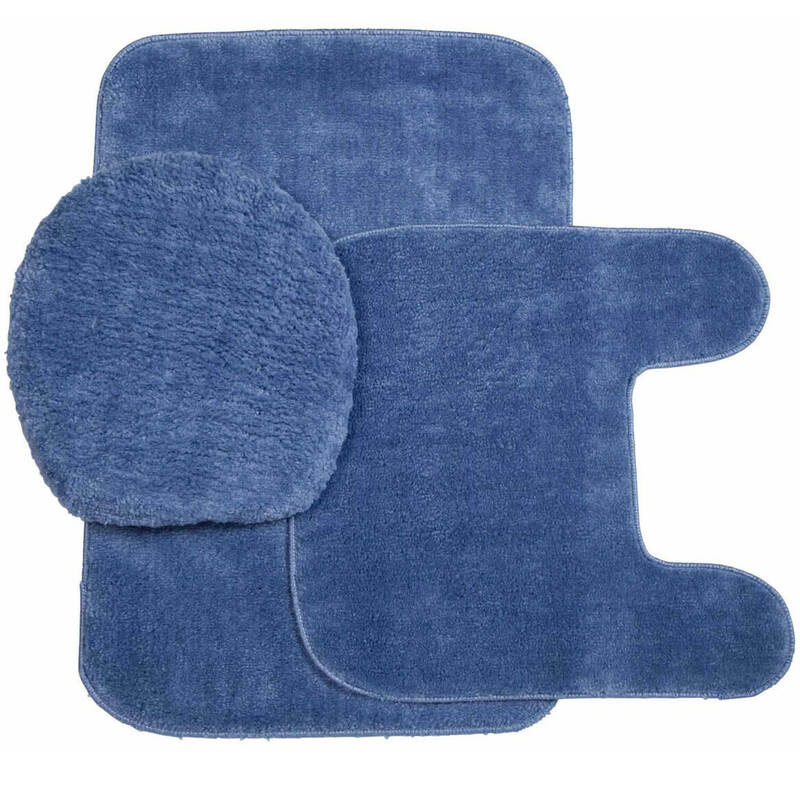 bath rug set includes 29 1/2″L x 20″W rug, 19 1/2″L x 20″W contoured rug, standard seat cover. Olefin, latex; toilet seat cover and rug set is machine washable. USA. Luxuriously thick round floral bath rug by OakRidge™ adds lively floral style and comfort to your bathroom. 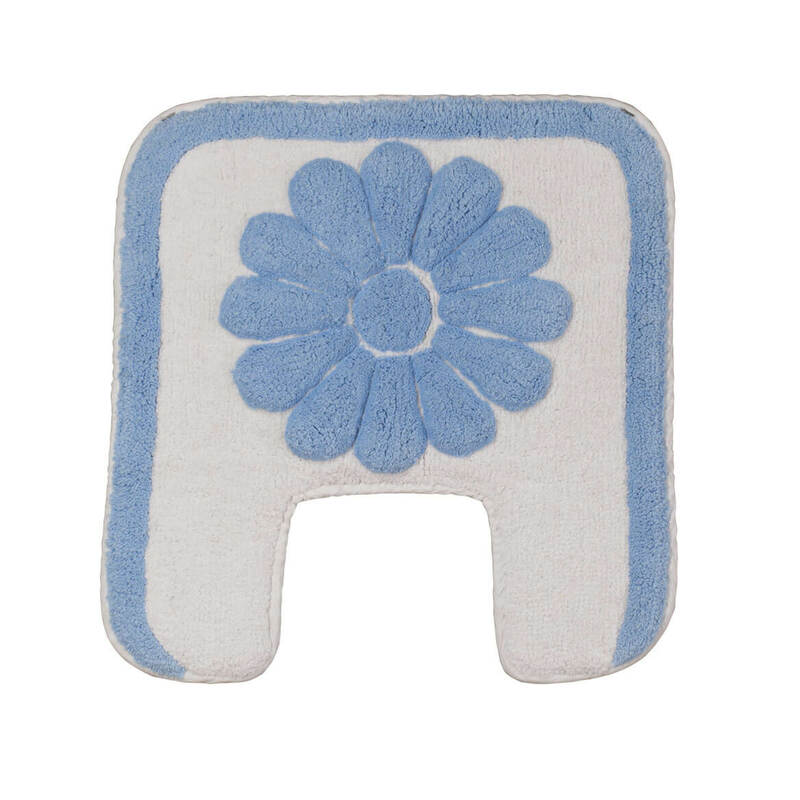 You’ll love how this extra soft, extra padded cotton bath mat pampers your bare feet and insulates against cold, hard floors. Contrast flower and border adds pizzazz to any bathroom décor from classic to contemporary. Specify color: blue, sage or lilac. Round bathroom rug measures 30″dia. 100% cotton with non-slip latex backing. Machine wash separately cold, gentle cycle; tumble dry low separately; do not bleach. Imported. Coordinates perfectly with our Floral Contour Bath Rug by OakRidge™ (sold separately). Pure pleasure underfoot! 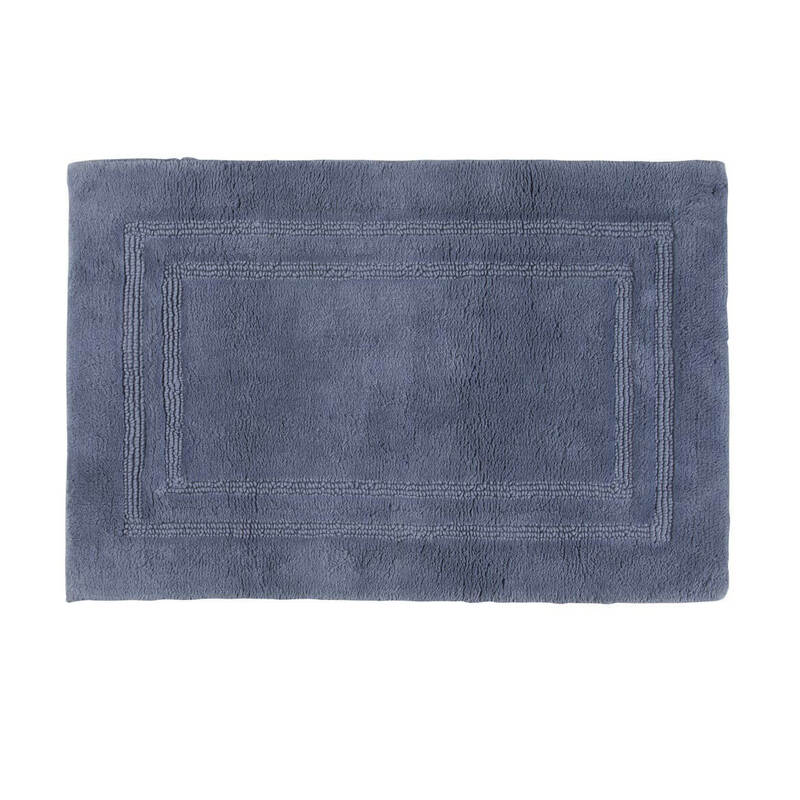 A step above ordinary bath rugs, this ultra plush reversible bath rug adds warmth and comfort with its superior softness, texture and thickness. Luxurious, 100% cotton soaks up extra moisture, making drying off easier and helping to prevent slips. The bath mat’s reversible design with 2 patterns provides twice the wear and design options. Choose from blue or beige to complement any décor. 20″ x 30″ x 3/4″ thick. 100% cotton. Wash reversible rug separately in cold water with mild detergent; tumble dry low and shake to fluff. Imported.